[FFBE] Bunny Lady and Egg Girl - GUMI pushing the meta 8 months ahead with 2 GLEX units. 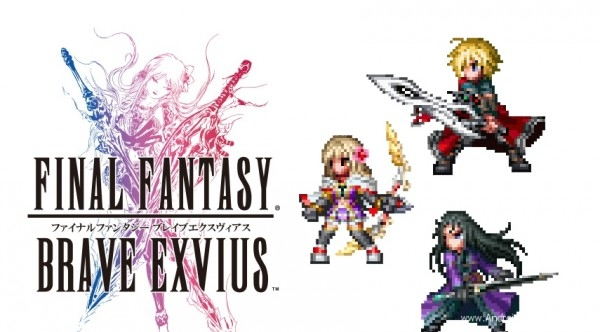 What is Final Fantasy Brave Exvius? A mobile game for iOS and Android, produced in collaboration between Square Enix (Final Fantasy et al) and Gumi/Alim (responsible for Brave Frontier). The game’s story is based around a young knight named Rain and his friend and stepbrother Lasswell, who one day encounter a strange sight: a young girl trapped in a crystal. Following her words, they encounter the power of “Visions,” or the ability to summon warriors from other places and times to assist in battle. You can now make 7 star units with dupe 5 stars, and it means that you can spend even more resources failing to get OP units! Whooo! 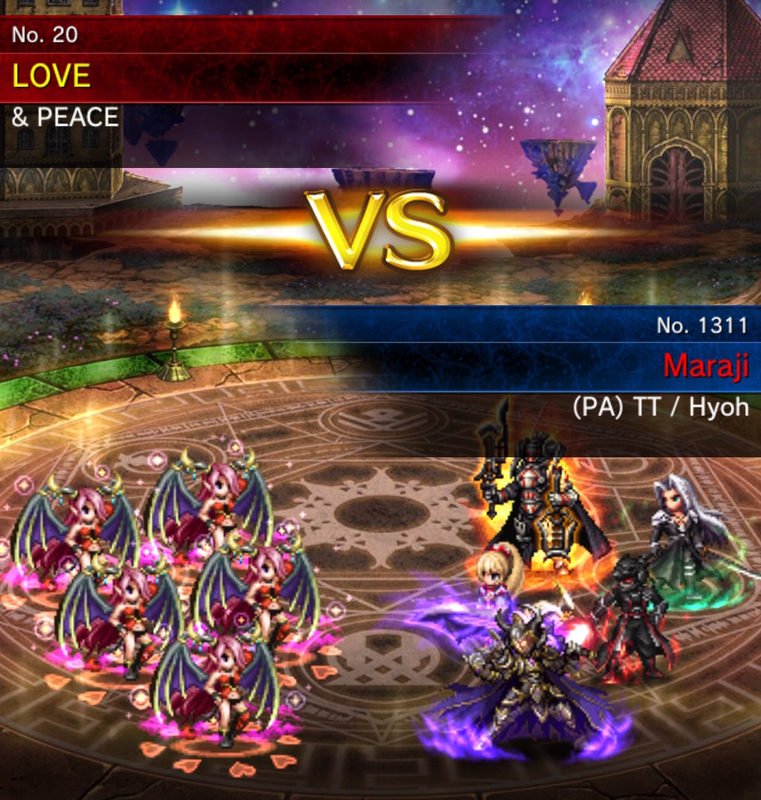 I've played Brave Frontier and liked/hated it. How does this compare? Final Fantasy Brave Exvius is an expanded spin on Brave Frontier, with whom it shares some similarities. It's another gacha game, meaning you will earn in-game currency, coming in the form of Friend Points and Lapis, to summon new units on a seemingly unfair spreadsheet of hidden factors that emerge in the form of unique characters, and many familiar to the world of Final Fantasy. This game, though, adds the usual Final Fantasy elements of equipment and materia, giving a surprising depth to the gameplay as units can be mixed and matched with different abilities and stats boosted or modified.Each unit can equip up to 6 types of equipment and 4 materia, but each unit also has limitations and advantages to what they can equip and use. You mentioned Final Fantasy characters? I love Final Fantasy! FFBE has a wide variety of characters from Final Fantasy, with its own beefy roster of unique names original to FFBE. Characters from Final Fantasy 1 all the way to 15 and even outliers such as Final Fantasy Tactics and Final Fantasy Type-0 are represented. We have pretty much all major FFs represented at this point. Yay! The roster of characters in game is a mishmash of various Final Fantasy games and units exclusive to FFBE, although most people care about the FF characters. As previously mentioned, characters are added to the gacha, usually alongside special events that tie into the game they're from (unless it's just more FFBE exclusives). Unlike other games of this type, the rarity isn't just in the higher rank of the unit, but also the characters themselves. Further, different units are good at different things. Some are chainers, some straight damage or support, healers, and so forth. Good units often do a useful mix of those abilities. I'm new, and got a bunch of these characters out of my first 11-pull. Are any of these good? I love Shadow/Sabin/Penelo! Unfortunately, your Shadow/Sabin/Penelo are some of the worst characters in the game. Yes, they are beloved Final Fantasy characters, but that doesn't exclude them from being King of the Trash Heap. Someone has to be, right? A lot of early characters are mainline Final Fantasy units, but by nature of power creep, they’ve been long overshadowed by new units. Different units are powerful or weak in different ways, and just because a unit is popular in their original Final Fantasy series doesn’t mean they will be useful in FFBE. 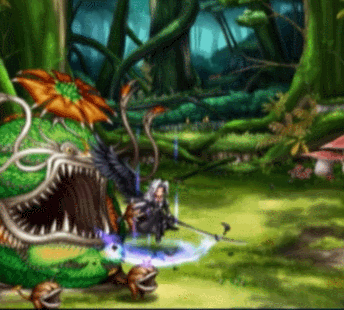 However, FFBE is unique in that many older units are perfectly viable. Good team composition and strategy can make mid-tier units very good, and sometimes spending a bit of time thinking through a tough fight can result in eeking out a well-deserved win. Many players are F2P (they spend no money) and have a good roster of units, or are otherwise able to tackle some of the hardest content in the game. If you're just starting out and want to know who to look for, note that as we are 18 months into the game, the hardest content tends to require some fancy gear and "rainbow" base units. If you see a rainbow crystal, rejoice, for it will grant a 5* base unit, which range from useful to very powerful and can easily secure a spot on your team! Now, get 2 of them! Pull for 5 star units, as they have the best future, and most, when they get to 7 stars, will carry your team. ExviusWiki: Best source for Global version information, with maps for exploration dungeons, quest guides, and unit details. Final Fantasy Brave Exvius Reddit: The reddit community for FFBE, containing info and updates for both the Japan and Global versions. Check here if you want to know what kind of stuff we'll get 5-6 months in advance since Japan gets it first. Also contains useful player-submitted guides, and has a Wiki which is up to date with the current state of Japan's game, so you can look ahead at unit enhancements and trust masteries, that sort of thing. To find your friend ID in the game, tap Home in the upper right corner (on most screens), then the Menu icon in the upper right, then Player Info on the left. Your ID should look like this in your little character card: 123,456,789. This is also where you change your greeting, and rename your character if you like. Adding friends is the only way to use your "guest character" limit break in combat, and only your current party's Leader is shared to friends. Remember to set a Companion Party from the Options in the Main Menu! This way, you will always have a party set up with a specific character that will be shared to your friends, and you should never ever edit that party except to change the Leader if you want to change who you share. I really need to find a list of obsolete/saleable equipment. My gear list is bursting at the seams and much of it is now TMR gear, some event gear and element-specific stuff which I can't immediately discern the use for but don't want to toss out in case we get some GL event that requires gun-based earth damage. I dunno what everyone is planning to use for this bonus stage, but I got up a Hyoh with a non-elemental weapon, full status immunity, and a ton of machine killers. Hopefully that's generic enough. I believe it would actually be better to put Tonitrus or BT on him. I believe there is a mission to do elemental chaining and the lightning works on Europe/Searchers. I think? Could you use SBDF's STMR for the kid bombs? That would work except the Searcher robots have the exact opposite elements as Europa. So you wouldn't be able to kill the Searchers since they're immune to fire and lightning. My rule of thumb is if I'm not using it for exploration, then any weapon 5* or less is potential fodder unless it adds an element to the attack. if its head, body, shield then any 5* without any special modifer (crisis evasion, elemental resist) can get sold. trinkets are a toss up but if all it does is add just +3 to stats and nothing else, then those can get tossed as well. That's really all I use for criteria on what I want to keep and not worry if it might be a potenital one shot use 8 months down the road. No, because the way elemental resistances work. Kryla CAN work, but her damage is impaired. The work it works is Immunities - Weaknesses / Total Elements used. So for example, Kryla's Fire + Ice would hit the Ice Bomb: 300% Fire Resistance - 100% Ice Resistance - 50% Fire Imperil - 50% Ice Imperil = 100% / 2 (2 elements, fire&ice) = 50% resistance. Using SBDF's Whip is bad because it does all elements. So it's 300%x7 - 100% Weakness = 2000% / 8 = 250% Resistance. So does that mean Kryla would have to dc her imperil/damage ability since the first hit doesn’t get the imperil? So she casts twice to hit once for half damage? Ouch. So you would need a strong imperiler to cut through it. I will have both 7* Kunshira and 7* Kryla on my team so it should work out okay for me to have lightning Hyoh and matching Hyoh friend. I won't even be at the point of being able to try out the bonus stage until Sun or Mon. 250 lapis got me an Ichor. I like the fist weapon so I may go for that in my tmr farm eventually. 2. Rikku and a Nyx x1. well that's neat. 3. 3 straight Ichors.  and a worthless shadow. Thanks game! 5. Yubel. gold and blues. Yep, not one Folka in all that. That's fine since I have a pretty rounded set of healers. Yubel has a nice tmr that I'm starting to see a pattern on. 40% atk and then a killer. I don't have Kryla. I am concerned. 5th stage. Priestess of the Water. 66 energy. 6th stage. Peace at Last. 65 energy. The battles in the 5th stage are 11 energy. If there had been 5 battles, that would make the total energy cost of the 5th stage 55 energy. But there are 6 battles. Someone added a battle at the final moment? Decided to run the step up after doing the Unit Intro. Man, her LB is cool. Ended up with a 5th Ace on Step 4 and 2 Folka's on Step 5. Folka would be cool but I really want Yuraisha. Yuraisha seems cool but Nichol is already best boy. I prefer Seaside Nichol. That drink-spike has to be the best auto-attack animation in the game. If i had to choose, Folka works best for me as I have Zarg and CG Nichol 7*. Where as Ayaka is a great 7* healer; she doesn’t have a lot of support. Rem has been my go to since her 7*. No CG Fina for me either. I have 7* Fina, 6* MS Nichol and, sigh, 6* Folka. Yuraisha just seems like a good upgrade? My 7* buffers are Roy and Ramza. I prefer Ayaka because I can cast Esunaga and Curaja in a turn, but Rem has to use an ability that heals for less to do it. Ayaka also has dual reraise to fall back on. Though I have been having a bit of fun running Yuna from time to time. Not with Christine in the game. Kryla is also a strong contender with her "salt bae" auto-attack. I freaking love Folka in arena. Dual cast her status resist spells means no more BS cheese from other team. I'm a fan of Yan's. She isn't even attacking you or noticing you. She just accidentally hits you with her parasol because you didn't get out of the way when she turned. Also, how's the new exploration event? Manageable or is this another Christmas Tree moment? I nearly forgot the best one! Lol, she’s as confused as the enemy about why you would have her attack. I don’t think I ever saw that before. Alma throwing a rock (since she can’t equip weapons) is good too. 7* KEFKA AND 7* SHADOW IN JP VERSION. THIS IS NOT A DRILL. THROWJA META INCOMING. Edit: Also, battles where you can only use 3*/4* base units. That sounds awesome. Good news, the rewards for the 3* and 4* base battles are Trust Coins. I've been planning on only feeding my 100% dupes for the mixer, because I have a little bit of a collector's instinct and want to keep at least one of every unit I pull. I do wonder if they'll be any other restrictions on the 3*/4* fights. Like restricting TMRs or STMRs. A team of 4*s with a bunch of highly rated STMRs and TMRs would either cake walk through or be the standard by which the fights are balanced. Might not be a bad idea to forbid at least STMRs from those fights and then balance from there. Apparently the 3* and 4* battles are split, so that you have fights where you can only use (up to) 3* base units. I look forward to using Leo again. His sprite is still just so cool. Between these and high level trials, Charlotte meta incoming. I totally forgot about Charlotte. She's a ridiculously good tank for a 3* base, especially when enhanced. I used her in my first clear of Wicked Moon and she tanked like a champ. Thankfully most of the units that I have maxed that could be good 3* and 4* units to use I have duplicates of. Reminder: Run the Vault of Hidden Treasures!!! Don't be like me and forget to bring a Gil doubler! Lilith is one my current favorite units, and my prized pickup from Halloween (sorry GLS 7*). However, Arena is really making me hate her. Ran into the five Lilith team, but there was no way of knowing that could've possibly been the case because the opponent's leader was Cloud. I don't necessarily mind losing in Arena, per se, but that's just lame. Ran into that team twice today. Lost my winning streak. Of all the annoying units to run into in the Arena, Lilith can go to hell the most. Edit: Also, these teams are never going away. Her counters and LB will never be banned, and it’s the chaining of those, combined with the AI always choosing LBs, that make her powerful. I am having issues throwing a team together for the bonus stage. Everything on reddit has units that I don't have or only at 5*/6*.